Since Dimitri has given me the SQL virus I have a hard time avoiding opportunities for twisting my brain. Seeing the latest post from Chris Lamb made me wonder: how hard would it be to do better? Splitting by date is rather arbitrary (the split may even depend on the timezone you’re using when you’re doing the query), so let’s try to find out the maximum number of uploads that happened for each package in any 24 hour window. First, for each upload, we get how many uploads of the same package happened in the subsequent 24 hours. For each source package, we want the maximum count of uploads in a 24 hour window. We can then join both queries together, to get the 24-hour window in which the most uploads of a given source package has happened. The results are almost the ones Chris has found, but cl-sql and live-config now have one more upload than live-boot. Thanks to Adrian and Chris for the involuntary challenge! Docker handles 127.0.0.1 in /etc/resolv.conf the following way: it ignores the entry (upstream discussion). When there’s no DNS servers left, it will fall back to using 8.8.8.8 and 8.8.4.4. This is all fine and dandy, if that’s the sort of thing you like (I don’t kinkshame), but if you don’t trust the owners of those DNS recursors, or if your network helpfully firewalls outbound DNS requests, you’ll likely want to use your own resolver instead. The upstream docker FAQ just tells people to disable the local resolver and/or hardcode some DNS entries in the docker config. That’s not very helpful when you roam and you really want to use your local resolver… To do things properly, you’ll have to set two bits of configuration: tell docker to use the local resolver, and tell your local resolver to listen on the docker interface. First, you need to configure the docker daemon to use the host as DNS server: In the /etc/docker/daemon.json file, set the dns key to [“172.17.0.1”] (or whatever IP address your docker host is set to use). When NetworkManager is set up to use dnsmasq, it runs with a configuration that’s built dynamically, and updated when the network settings change (e.g. to switch upstream resolvers according to DHCP or VPN settings). Restarting NetworkManager brings up a new instance of dnsmasq, which will let Docker do its thing. Restart unbound (reload doesn’t reopen the sockets) and your docker container will have access to your local resolver. Both these local resolver configurations should work even when the docker interface comes up after the resolver: we tell the resolver to listen to all interfaces, then only let it answer to clients on the relevant networks. 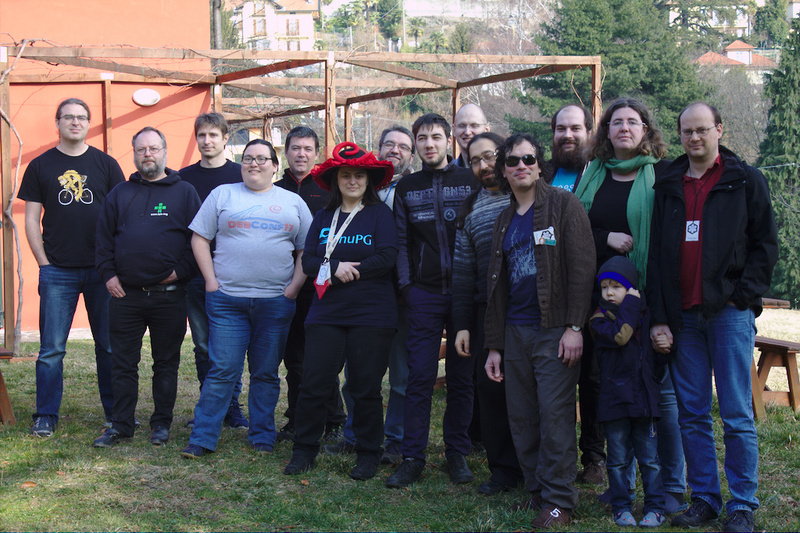 Thanks to Valhalla and other members of LIFO, a bunch of fine Debian folks have convened in Laveno, on the shores of Lake Maggiore, for a nice weekend of relaxing and sprinting on various topics, a SnowCamp. As a starter, and on request from Valhalla, please enjoy an attempt at a group picture (unfortunately, missing a few people). Yes, the sun even showed itself for a few moments today! As for today’s activities… I’ve cheated a bit by doing stuff after sending yesterday’s report and before sleep: I reviewed some of Stefano’s dc18 pull requests; I also fixed papered over the debexpo uscan bug. After keeping eyes closed for a few hours, the day was then spent tickling the python-gitlab module, packaged by Federico, in an attempt to resolve https://bugs.debian.org/cgi-bin/bugreport.cgi?bug=890594 in a generic way. There could also be some use for bits of group management, e.g. to handle the access control of the DebConf group and its subgroups, although I hear Ganneff prefers shell scripts. My personal end goal is to (finally) do the 3D printer team repository migration, but e.g. the Python team would like to update configuration of all repos to use the new KGB hook instead of irker, so some generic interest in the tool exists. As the tool has a few dependencies (because I really have better things to do than reimplement another wrapper over the GitLab API) I’m not convinced devscripts is the right place for it to live… We’ll see when I have something that does more than print a list of projects to show! In the meantime, I have the feeling Stefano has lined up a new batch of DebConf website pull requests for me, so I guess that’s what I’m eating for breakfast “tomorrow”… Stay tuned! My attendance to SnowCamp is in part made possible by donations to the Debian project. If you want to keep the project going, please consider donating, joining the Debian partners program, or sponsoring the upcoming Debian Conference. Today’s pièce de résistance was the long overdue upgrade of the machine hosting mentors.debian.net to (jessie then) stretch. We’ve spent most of the afternoon doing the upgrades with Mattia. The first upgrade to jessie was a bit tricky because we had to clean up a lot of cruft that accumulated over the years. I even managed to force an unexpected database restore test 😇. After a few code fixes, and getting annoyed at apache2.4 for ignoring VirtualHost configs that don’t end with .conf (and losing an hour of debugging time in the process…), we managed to restore the functonality of the website. We then did the stretch upgrade, which was somewhat smooth sailing in comparison… We had to remove some functionality which depended on packages that didn’t make it to stretch: fedmsg, and the SOAP interface. We also noticed that the gpg2 transition completely broke the… “interesting” GPG handling of mentors… An install of gnupg1 later everything should be working as it was before. We’ve also tried to tackle our current need for a patched FTP daemon. To do so, we’re switching the default upload queue directory from / to /pub/UploadQueue/. Mattia has submitted bugs for dput and dupload, and will upload an updated dput-ng to switch the default. Hopefully we can do the full transition by the next time we need to upgrade the machine. Of course, we’re still sorely lacking volunteers who would really care about mentors.debian.net; the codebase is a pile of hacks upon hacks upon hacks, all relying on an old version of a deprecated Python web framework. A few attempts have been made at a smooth transition to a more recent framework, without really panning out, mostly for lack of time on the part of the people running the service. I’m still convinced things should restart from scratch, but I don’t currently have the energy or time to drive it… Ugh. More stuff will happen tomorrow, but probably not on mentors.debian.net. See you then! 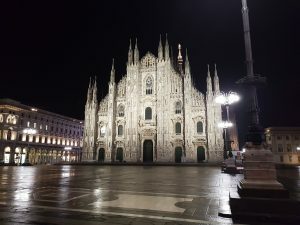 This morning, I arrived in Milan at “omfg way too early” (5:30AM, thanks to a 30 minute early (!) 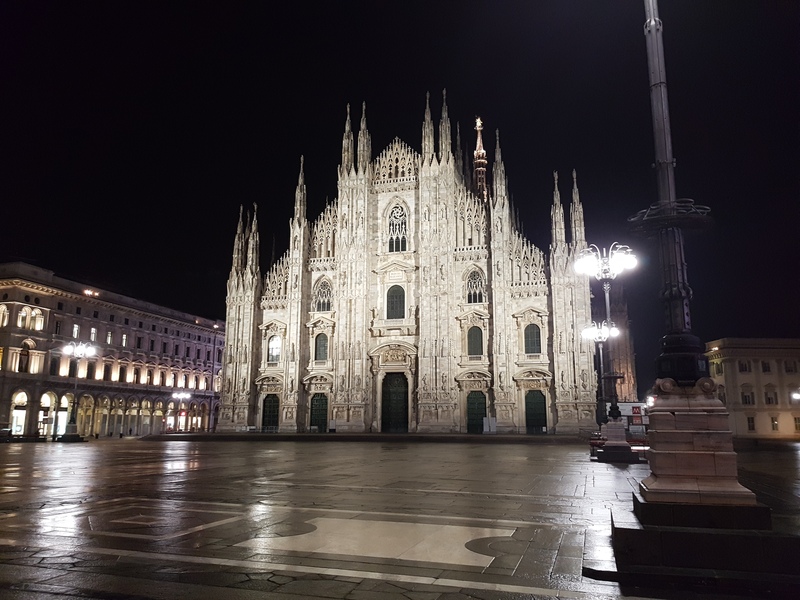 night train), and used the opportunity to walk the empty streets around the Duomo while the Milanese .oO(mapreri) were waking up. This gave me the opportunity to take very nice pictures of monuments without people, which is always appreciated! After rearranging the tables in the common spaces to handle power distribution correctly (♥ Gaffer Tape), we could start hacking! I’ve also written a modicum of code. Finally, I have created the Debian 3D printing team on salsa in preparation for migrating our packages to git. But now is time to do the sleep thing. See you tomorrow? Software Heritage is the project for which I’ve been working during the past two and a half years now. The grand vision of the project is to build the universal software archive, which will collect, preserve and share the Software Commons. Today, we’ve announced that Software Heritage is archiving the contents of Debian daily. I’m reposting this article on my blog as it will probably be of interest to readers of Planet Debian. TL;DR: Software Heritage now archives all source packages of Debian as well as its security archive daily. Everything is ready for archival of other Debian derivatives as well. Keep on reading to get details of the work that made this possible. When we first announced Software Heritage, back in 2016, we had archived the historical contents of Debian as present on the snapshot.debian.org service, as a one-shot proof of concept import. This code was then left in a drawer and never touched again, until last summer when Sushant came do an internship with us. We’ve had the opportunity to rework the code that was originally written, and to make it more generic: instead of the specifics of snapshot.debian.org, the code can now work with any Debian repository. Which means that we could now archive any of the numerous Debian derivatives that are available out there. This has been live for a few months, and you can find Debian package origins in the Software Heritage archive now. The main challenge in listing and saving Debian source packages in Software Heritage is mapping the content of the repository to the generic source history data model we use for our archive. Before we start looking at a bunch of unpacked Debian source packages, we need to know how a Debian repository is actually organized. At the top level of a Debian repository lays a set of suites, representing versions of the distribution, that is to say a set of packages that have been tested and are known to work together. For instance, Debian currently has 6 active suites, from wheezy (“old old stable” version), all the way up to experimental; Ubuntu has 8, from precise (12.04 LTS), up to bionic (the future 18.04 release), as well as a devel suite. Each of those suites also has a bunch of “overlay” suites, such as backports, which are made available in the archive alongside full suites. Under the suites, there’s another level of subdivision, which Debian calls components, and Ubuntu calls areas. Debian uses its components to segregate packages along licensing terms (main, contrib and non-free), while Ubuntu uses its areas to denote the level of support of the packages (main, universe, multiverse, …). Finally, components contain source packages, which merge upstream sources with distribution-specific patches, as well as machine-readable instructions on how to build the package. The Software Heritage archive is project-centric rather than version-centric. What this means is that we are interested in keeping the history of what was available in software origins, which can be thought of as a URL of a repository containing software artifacts, tagged with a type representing the means of access to the repository. For each visit of an origin, we take a snapshot of all the branches (and tagged versions) of the project that were visible during that visit, complete with their full history. See for instance one of the latest visits of the Linux kernel. For the specific case of GitHub, pull requests are also visible as virtual branches, so we fetch those as well (as branches named refs/pull/<pull request number>/head). We use a repository name rather than the actual URL to a repository so that links can persist even if a given mirror disappears. To load Debian source packages into the Software Heritage archive, we have to convert them: Debian-based distributions distribute source packages as a set of files, a dsc (Debian Source Control) and a set of tarballs (usually, an upstream tarball and a Debian-specific overlay). On the other hand, Software Heritage only stores version-control information such as revisions, directories, files. Our philosophy at Software Heritage is to store the source code of software in the precise form that allows a developer to start working on it. For Debian source packages, this is the unpacked source code tree, with all patches applied. After checking that the files we have downloaded match the checksums published in the index files, we simply use dpkg-source -x to extract the source package, with patches applied, ready to build. This also means that we currently fail to import packages that don’t extract with the version of dpkg-source available in Debian Stretch. After walking the extracted source package tree, computing identifiers for all its contents, we get the identifier of the top-level tree, which we will reference in the synthetic revision. This makes the information stored in the synthetic revision fully intrinsic to the source package, and reproducible. In turn, this allows us to keep a cache, mapping the original artifacts to synthetic revision ids, to avoid loading packages again once we have loaded them once. Finally, we can generate the top-level object in the Software Heritage archive, the snapshot. For instance, you can see the snapshot for the latest visit of the glibc package. To do so, we generate a list of branches by concatenating the suite, the component, and the version number of each detected source package (e.g. stretch/main/2.24-10 for version 2.24-10 of the glibc package available in stretch/main). We then point each branch to the synthetic revision that was generated when loading the package version. In case a version of a package fails to load (for instance, if the package version disappeared from the mirror between the moment we listed the distribution, and the moment we could load the package), we still register the branch name, but we make it a “null” pointer. There’s still some improvements to make to the lister specific to Debian repositories: it currently hardcodes the list of components/areas in the distribution, as the repository format provides no programmatic way of eliciting them. Currently, only Debian and its security repository are listed. We believe that the model we developed for the Debian use case is generic enough to capture not only Debian-based distributions, but also RPM-based ones such as Fedora, Mageia, etc. With some extra work, it should also be possible to adapt it for language-centric package repositories such as CPAN, PyPI or Crates. Software Heritage is now well on the way of providing the foundations for a generic and unified source browser for the history of traditional package-based distributions. We’ll be delighted to welcome contributors that want to lend a hand to get there. DebConf 17 bursaries: update your status now! TL;DR: if you applied for a DebConf 17 travel bursary, and you haven’t accepted it yet, login to the DebConf website and update your status before June 20th or your bursary grant will be gone. As you might be aware, DebConf 17 is coming soon and it’s gonna be the biggest DebConf in Montréal ever. 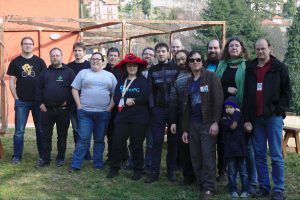 Of course, what makes DebConf great is the people who come together to work on Debian, share their achievements, and help draft our cunning plans to take over the world. Also cheese. Lots and lots of cheese. To that end, the DebConf team had initially budgeted US$40,000 for travel grants ($30,000 for contributors, $10,000 for diversity and inclusion grants), allowing the bursaries team to bring people from all around the world who couldn’t have made it to the conference. Our team of volunteers rated the 188 applications, we’ve made a ranking (technically, two rankings : one on contribution grounds and one on D&I grounds), and we finally sent out a first round of grants last week. After the first round, the team made a new budget assessment, and thanks to the support of our outstanding sponsors, an extra $15,000 has been allocated for travel stipends during this week’s team meeting, with the blessing of the DPL. We’ve therefore been able to send a second round of grants today. Our system has sent mails to everyone, but it’s easy enough to let that email slip (or to not receive it for some reason). It takes 30 seconds to look at the status of your request on the DebConf 17 website, and even less to do the few clicks needed for you to accept the grant. Please do so now! OK, it might take a few minutes if your SSO certificate has expired and you have to look up the docs to renew it. The deadline for the first round of travel grants (which went out last week) is June 20th. The deadline for the second round (which went out today) is June 24th. If somehow you can’t login to the website before the deadline, the bursaries team has an email address you can use. We want to send out a third round of grants on June 25th, using the money people freed up: our current acceptance ratio is around 40%, and a lot of very strong applications have been deferred. We don’t want them to wait up until July to get a definitive answer, so thanks for helping us! À bientôt à Montréal ! Posted on 2017-06-14 2017-06-14 Categories DebianTags debconf, debian, englishLeave a comment on DebConf 17 bursaries: update your status now! I am delighted to announce that Debian will be participating in the next round of Outreachy and GSoC, and that we are currently welcoming applications! Outreachy helps people from groups underrepresented in free and open source software get involved. The current round of internships is open to women (cis and trans), trans men, genderqueer people, and all participants of the Ascend Project regardless of gender. 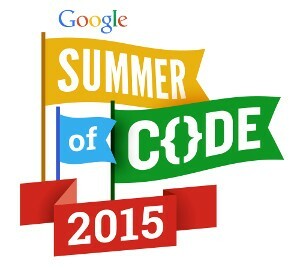 Google Summer of Code is a global program, sponsored by Google, that offers post-secondary student developers ages 18 and older stipends to write code for various open source software projects. Interns for both programs are granted a $5500 stipend (in three installments) allowing them to dedicate their summer to working full-time on Debian. Our amazing team of mentors has listed their project ideas on the Debian wiki, and we are now welcoming applicants for both programs. If you want to apply for an internship with Debian this summer, please fill out the template for either Outreachy or GSoC. If you’re eligible to both programs, we’ll encourage you to apply to both (using the same application), as Debian only has funds for a single Outreachy intern this round. I hope we’ll work with a lot of great interns this summer. If you think you’re up for the challenge, it’s time to apply! If you have any doubts, or any question, drop us a line on the soc-coordination mailing list or come by on our IRC channel (#debian-soc on irc.debian.org) and we’ll do our best to guide you. 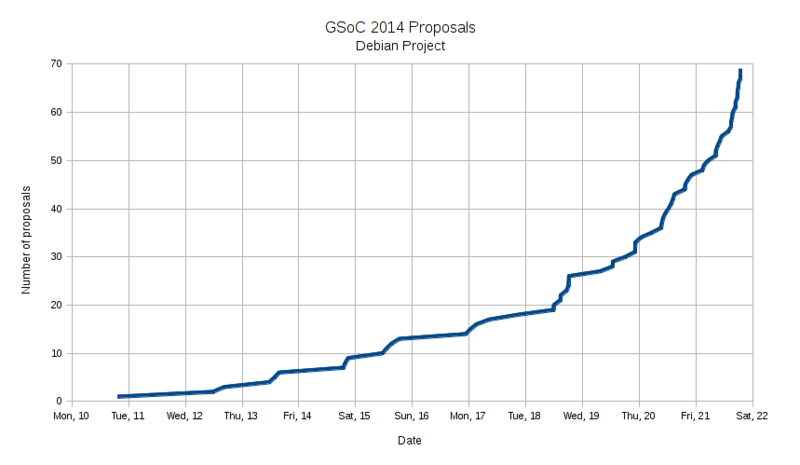 We need your help to make GSoC and Outreachy in Debian a success this summer! A quick announcement: Debian has applied to the Google Summer of Code, and will also participate in Outreachy (formerly known as the Outreach Program for Women) for the Summer 2015 round! Those two mentoring programs are a great way for our project to bootstrap new ideas, give an new impulse to some old ones, and of course to welcome an outstanding team of motivated, curious, lively new people among us. Project ideas without confirmed mentors will only happen if a mentor appears. They are kept on the wiki page until the application period starts, as we don’t want to give applicants false hopes of being picked for a project that won’t happen. Once you’re done, or if you have any questions, drop us a line on our mailing-list (soc-coordination@lists.alioth.debian.org), or on #debian-soc on OFTC. We also would LOVE to be able to welcome more Outreachy interns. So far, and thanks to our DPL, Debian has committed to fund one internship (US$6500). If we want more Outreachy interns, we need your help :). If you, or your company, have some money to put towards an internship, please drop us a line at opw@debian.org and we’ll be in touch. Some of the successes of our Outreachy alumni include the localization of the Debian Installer to a new locale, improvements in the sources.debian.net service, documentation of the debbugs codebase, and a better integration of AppArmor profiles in Debian. Posted on 2015-02-19 Categories Debian, Free SoftwareTags debian, english, gsoc, opw, outreachyLeave a comment on We need your help to make GSoC and Outreachy in Debian a success this summer! The GSoC student application period is over, and the last two days were pretty interesting. For a few years now, Olly Betts has provided us with a spreadsheet to graph the number of applicants to an organization over time. If you want to take a look at the proposals, head over to the Debian wiki. Time to get on reviewing! The final student acceptances will be published in just less than a month, on April 21st.